We are bringing an ancient tradition of ethics, meditation and wisdom alive in the modern world, as part of the Triratna Buddhist Community. 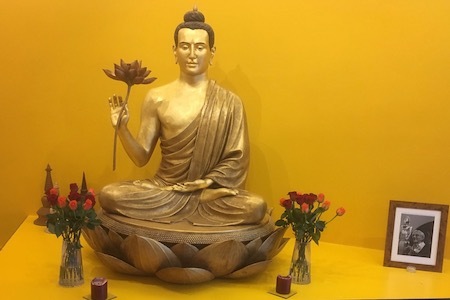 We have taught meditation and Buddhism to thousands of people from Greater Manchester and beyond, in our beautiful converted cotton warehouse in Manchester's Northern Quarter. We are well known for our friendly and informal style of teaching, exploring what Buddhism can teach us in the modern west. We welcome all visitors and put a high value on friendship, community and making real change in how we live our lives and behave towards others. Read more on our website about how we can all join in and support the Centre.